Does this sound familiar?...Your at your local gardening supply store to pick up some essentials. Perhaps your bell peppers have an aphid infestation. As you look down the aisle of insecticides, you logically conclude "Since these products can be sprayed on my bell peppers without killing them, surely they are safe". They promise to kill the aphids without harming anything green. Sounds like the perfect solution, right? The company's manufacturing these products would have you believe it is the perfect solution, because they believe it themselves! Well, folks, just like when cigarettes first came out and nobody knew about cancer, many of these gardening products are turning out to be more dangerous than we thought. Take, for instance, the common pesticides dursban and diazinon. Not until after thirty years of widespread use did the EPA conclude it was nigh time to ban these chemicals from home use (never mind the fact they are still allowed to be used for agricultural purposes). Not to point fingers or anything, the fact of the matter is that horticulture, or, our culture of growing things, has clearly lost touch with Mother Nature's core principles over the years. By pointing out first where things have gotten off track, our aim is to not only share with you what organic gardening is, but also, why it's vitally important. That being said, a simple definition is in order: Organic gardening is to garden without the use of chemical fertilizers, synthetic pesticides and hormone regulators. In other words, organic gardening is an earth-friendly way of growing vegetables, fruits, flowers and essentially anything else that grows under the Sun. Organic gardening is for people like you and me who want to enjoy the pleasures of gardening but without the guilt or worries of polluting the environment and putting our own health at risk. Growing plants organically is the essence of gardening in harmony with Mother Nature. A pathway to growing plants and produce that are free from pesticides and other environmentally dangerous chemicals, organic gardening is a satisfying and holistic hobby that unquestionably unites its practitioners with Nature. All organic gardens begin with and are maintained by the quality of the soil. This is where all plants derive the nourishment needed to grow healthily and resist the pests and other bugs that often prompt gardeners to resort to effective, yet toxic chemical use that results in the pollution of our waterways and endangers our personal health in multiple ways - much of which is yet to even be discovered. Thriving organic gardens depend on the quality of the soil, which in its purest state, should be composed of all sorts of biodegradable plant material, including everything from vegetable scraps and moldy bread to egg shells and grass clippings. Decaying natural material such as this make up the foundation of compost, which is the main ingredient for helping to create a bountiful organic garden. You can always buy organic potting soil to supplement as well. Pesticides... Anyone who is familiar with gardening, knows that fruits and vegetables (and all plants for that matter) are susceptible to bugs and disease which can destroy an entire crop. Mites, mealy bugs, aphids, thrips, snails, caterpillars, scale and fungus are just a few of the threats a home garden is faced with each day. It truly is a shame to see gardeners starting out organically, only to take up the use of toxic pesticides, such as Diazinon, when nothing else seems to work in the face of a pest invasion. However, what many gardeners do not realize is there are many types of organic home pesticide remedies, such as oil and soap water remedies, as well as a handful of store-bought organic pesticides that are highly effective at ridding an organic garden of disease and pests. The best organic gardens, however, do not even need resort to such measures, which in the big picture, is even better for the environment. For example, most of the predatory pests frequently found in home gardens have their own natural predators, such as lady bugs, wasps and lizards. Every organism has its place in Nature - yes, even the one's that like to feed on your bell peppers. If enough of one insect is wiped out, that means the bugs and insects which primarily feed on it are at jeopardy of being wiped out as well, which is a snowball effect that can be catastrophic to the natural order of things. Mother Nature gives us everything we need - even when it comes to curtailing an insect infestation. The idea behind organic gardening is to do everything on Mother Nature's terms - not our own. For example, rather than spraying down your garden with manmade pesticides to destroy an infestation of aphids, get your hands on some lady bugs (which are natural predators of aphids) to release in the garden. You can even plant certain ornamental flowers in your garden that will help to attract predatory insects like wasps and bees, which brings up a whole other issue. Remember that snowball effect I just mentioned? We are already beginning to see this take place with pollinators like birds and honey bees. The USDA is now saying we are facing an impending pollination crisis, considering the decimation of honeybee colonies. In the Spring of 2007 alone, over 300,000 honeybee colonies were wiped out by parasitic mites and beetle looms. Pesticides have also played a major role in doing this. Besides killing honeybees outright, pesticides often impair the ability for bees to reproduce and feed. The importance of pollinators like honeybees cannot be understated. It takes nearly 1 million honeybees to pollinate almond crops in California. No pollinators means no almonds. And it's not just almonds we're talking about. Over 75% of the world's staple crops depend on pollination by insects and/or animals. Enough said. Another very important component of organic gardening is to choose plants suited to one's growing zone. Certain plants grow better in certain climate zones. When organic gardening, it is always best to choose plants which are known to thrive at their best in a corresponding climate zone. Plants which are faced with more stress and increased struggle due to the climate will inevitably be more susceptible to pests and disease. Herbicides are used to prevent the growing of weeds in a garden. While prevention is the key to keeping weeds down to a minimum, an excellent alternative to herbicides in an organic garden is mulch. A thick layer of mulch on the surface of the earth will keep sunlight from reaching potential weed-germinating seeds that could otherwise pop up overnight and overrun a garden by stealing vital nutrients from other wanted plants. Straw, grass clippings (great for heavy feeders) wood chips and leaves (great for light feeders) all make terrific types of mulch for serving this purpose. Top cover crops also serve much in the same way that mulch does. A top cover crop is a living mulch that not only smothers germinating weeds, they also help to improve the quality of the soil by enriching it with Nitrogen and humus. Cover crops include oats, barley, wheat, clover and field peas. Depending on your growing zone, one crop cover will work better than others. The idea is to plant cool weather plants near the end of the Summer and early Fall. Not only will the spent cover crop make for great compost in the garden, the old roots will keep the soil aerated and healthy. There are other organic ways to prevent weeds from popping up in a garden as well, such as keeping tilling to a minimum, drip irrigation, solarization, the use of corn gluten meal and of course, the good old-fashioned act of physically rooting them up by hand. By keeping soling tilling to a minimum, dormant herbs will not be awakened to new life. Leave space in your garden to walk around and you won't need to till anyways. Drip irrigation is not only an excellent way to keep weeds from sprouting up, it is twice as efficient at watering your garden. By positioning irrigation heads where they are needed the most, there are less areas in your garden for weeds to thrive. Solarization begins by hoeing out any existing weeds, watering the soil, and covering the entire garden with clear plastic for six weeks during the summer months. When all is said and done, the sun will have solarized any weeds that have even thought twice about sprouting up. Using corn gluten meal is ideal in an organic garden that will not have any seed sprouted plants. Mixing corn gluten with soil will help to keep all seeds from germinating, yet will not have a negative impact on seedlings or transplanted vegetables. If you must use an herbicide in your garden, a great home remedy is full strength vinegar. Although it won't kill the roots of a weed, repeated use will kill the vegetation of the weed, which will ultimately cause the weed to starve and loosen its hold. The use of fertilizers in an organic garden is tolerable; However, it depends on the fertilizer. Alfalfa and soybean meal both make for an ideal organic gardening fertilizer. Many organic gardeners use alfalfa meal, soybean meal, cotton seed meal, bone meal, blood meal, manure and fish oil to aid in providing extra nutrients to plants. However, vegan organic gardeners will be quick to point out that bone meal, blood meal and cow manure can be carriers of Mad Cow Disease, as well as the dangerous bacteria, E. coli. Indeed, a recent case at the time of writing this article involved a recall of spinach that was contaminated with E. coli. Two things are certain when it comes to fertilizers and organic gardening. Industrially produced plant nutrients are not be permitted in the realm of organic gardening. Industrial chemicals (primarily Nitrogen) only serve to artificially increase the speed and amount of growth in plants, which does nothing for their nutritional value and overall taste. In fact, it actually impedes taste and nutrients, which need more time to develop in Nature (It has been shown in scientific tests that organic produce provides less Nitrates and more anti-oxidants). The second certainty regarding fertilizer is that making use of a nutrient rich compost is all that one really needs to fertilize an organic garden. Produce grown with organic gardening supplies may not always look as big and shiny as chemically fed produce, however, it will taste better and is better for you. Just ask any organic gardener and they will tell you that organic gardening truly is a more satisfying and therapeutic way of growing one's own produce and communing with Mother Nature. 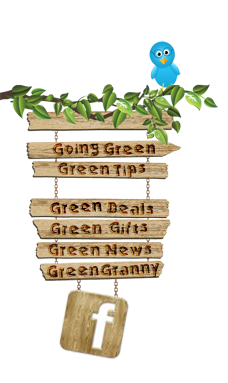 To dig deeper about organic gardening, please search our Organic Gardening Tips section immediately below.